As highly experienced emergency dental practitioners, Bathurst Centre Dental Care understands that dental issues can arise at any time and could require urgent professional attention. This is why we’re committed to offering the best in emergency dental care to our patients. Call our office immediately at 905-707-8008. Request an emergency dental appointment for that same day. One of our skilled emergency dentists will see you that day to alleviate your discomfort. When you choose Bathurst Centre Dental Care for your dentistry needs, you can rest assured knowing that whenever you have an emergency dental situation, our trained emergency dentists will be available to assist you. For your convenience, we offer extended evening and weekend hours. What can I do to reduce pain before my appointment? Take over-the-counter pain medication such as Tylenol or Advil. 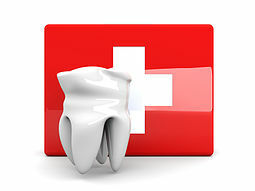 If a tooth is completely knocked out of the mouth, bring it with you in a container filled with milk. The sooner you can get to us, the better of your chance of saving the tooth. Can a broken tooth be reattached? In many cases, pieces broken off of a tooth cannot be reattached. However, we can rebuild your tooth with either filling or a crown. If a tooth is knocked out completely, it may be reinserted in the jaw and the tooth may be reattached to the bone successfully if if it is done within the first few hours. 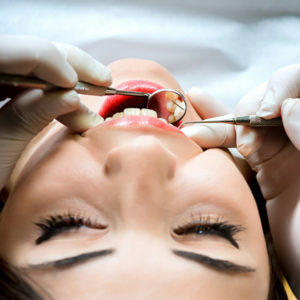 Splinting and root canal treatment is usually needed for a re-inserted tooth. If the tooth cannot be reattached, we offer dental implants that are strong, require no special maintenance and match the appearance of your existing teeth. Hi Busra, we do offer student discount for Seneca students during the summer time. Please contact us at either 905-707-8008 or via email at info@bcdentalcare.ca for more details.